Hi! 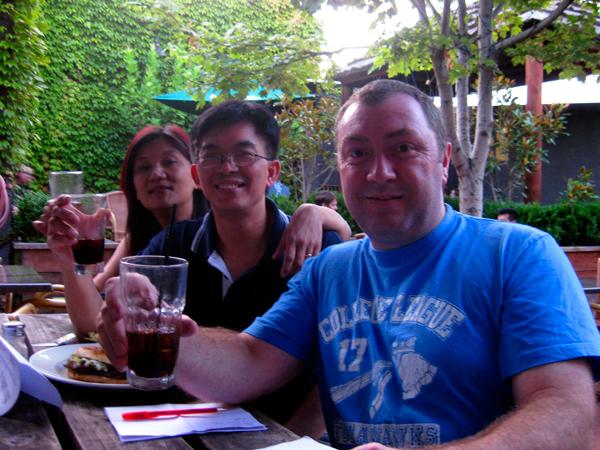 Thanks for writing this hub about the Melbourne meetup for Hubpages. We all enjoyed the night and are still hearing from potential Melbourne members who might like to join us for the next session in a few month’s time. I look forward to reading about other Hubmeets on this blog! Excellent Post! Good to see some Aussie Hubbers having a yarn about their hubbing experience. Seriously though (and only being serious for the moment) it was a great occasion, the 1st Aussie meetup and met 3 great people with much wonderful information they were more than happy to share. Major kudo’s for Suzanne for planning this as mentioned, already looking to share success and much more information and meet more hubbers on the next occasion. Thanks for putting this up Simone.